You will appreciate the optical and acoustic separation of two rooms not only in offices but also at home and yet, you will be in contact with the surroundings. 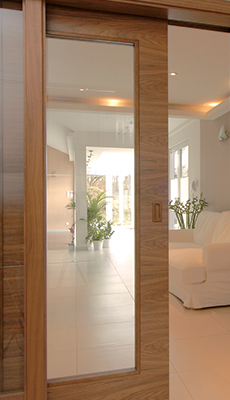 Moreover, the glazed walls are a welcome design element in the interior which brings lightness and timelessness. Glazed walls, side fanlights or even separate light wells - they all fit into glazed walls and help you to get more light into the room. 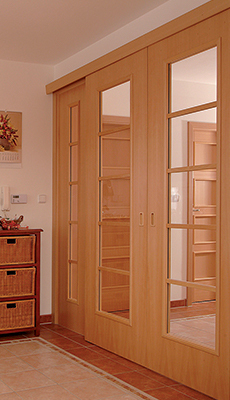 You can choose from more than 50 surface finishes of glass; we also can manufacture a customized motif of your choice. 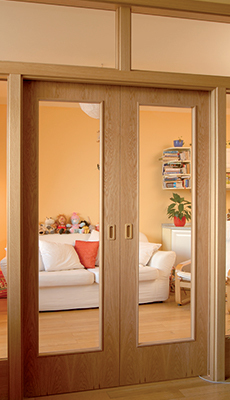 Parts of glazed walls can be swinging, sliding, revolving, folding and other doors. 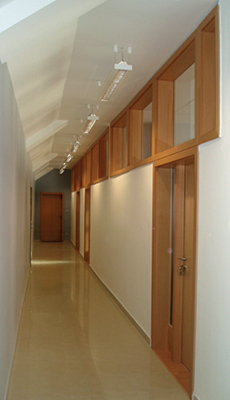 The glazed wall can be manufactured in fire and soundproof design.